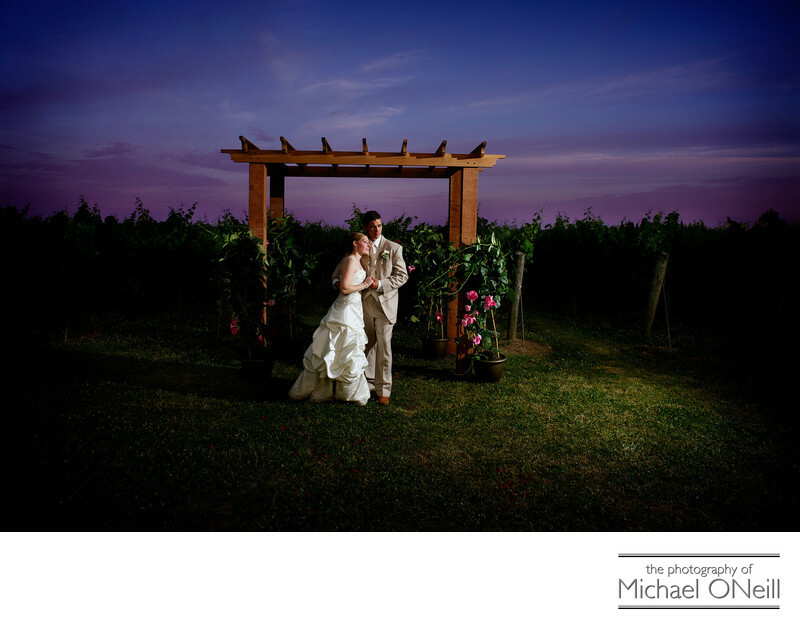 Being a native Long Islander I have extensive experience photographing weddings at the finest vineyards of Long Island’s North Fork wine region. The image you are looking at here was captured at sunset in the fields at Martha Clara Vineyard. The rustic atmosphere of one of their signature barn weddings is perfect for a casual, yet elegant, wedding celebration. In addition to Martha Clara I have photographed many weddings at Macari Vineyards, Raphael Vineyard, Bedell Cellars and Vineyard Caterers. Each of these establishments has it’s own unique charm and each offer a bride and groom the opportunity to host a casual yet elegant wedding celebration in a sprawling estate atmosphere. I love photographing vineyard weddings and the people who choose to host their events at these special places. If you are planning a vineyard wedding on the North Fork of Long Island give me a call to discuss your plans and wishes for your special day.